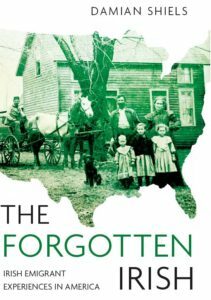 Readers of this site may have seen a recent post entitled Keeping Memory Alive of the Irish in the American Civil War. 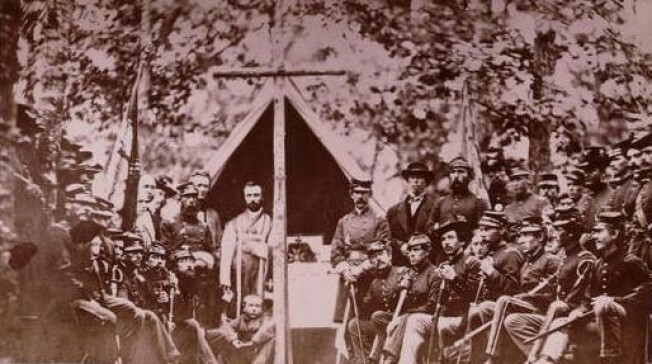 This highlighted the efforts of a number of like-minded individuals who wish to promote Irish involvement in the American Civil War in Ireland. The aim is to develop a Civil War Trail and Memorial to those from the entire island who were caught up in the conflict. 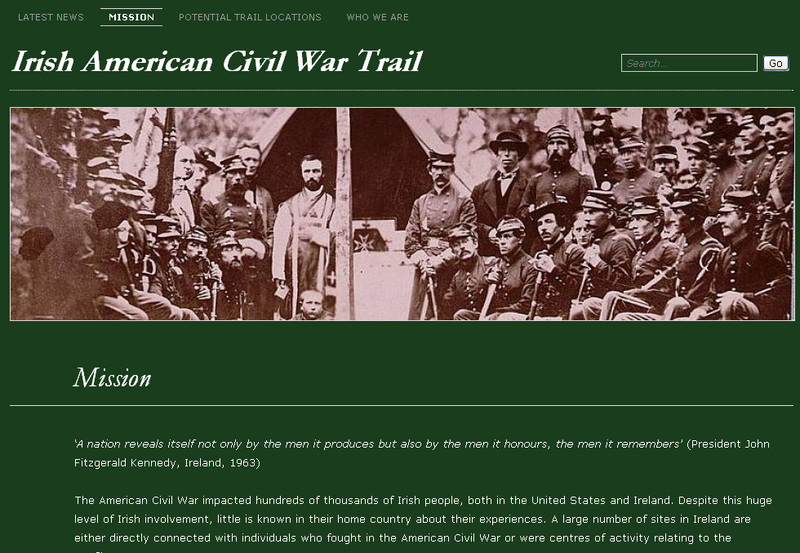 A site has now been developed to further this goal, called the Irish American Civil War Trail. You can find it here. It provides the project’s mission statement, and also a drop down list of potential trail locations within Ireland categorized by county. The site is still under development and there are many images and locations to be added, particularly concerning the birthplaces of Colonels and Medal of Honor recipients. However it will be added to over time and it is hoped it will act as a catalyst for the development of local interest at these locations. Please drop by and have a look at the site, and feel free to make suggestions as to potential additions, clarifications or to provide further detail on entries. We would also welcome any photographs of any sites in Ireland that could be added. If you would like to contact the group you can do so on the Civil War Trail site or by emailing americancivilwarandireland@gmail.com.